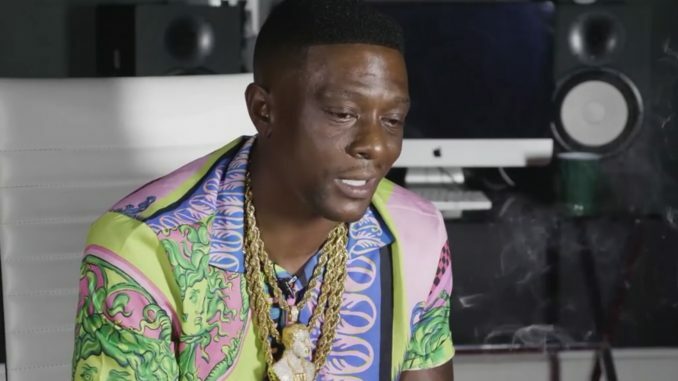 Rapper Boosie sounded less than remorseful while explaining the argument between he and his baby mama where he called their underage daughter a “b*tch” and threatened to “black her eye” during an interview. He did exactly what his BM said he would do, which is blame her while talking down on her family. According to Boosie’s BM, the argument started after their daughter Tori posted a video online aimed at Boosie saying “shouldn’t no parent be that busy for their child”. Boosie assumed his BM was not only aware of the video, but also allowed it to be posted. He cussed them both out. Boosie was charged with his murder. According to reports, Assistant District Attorney Dana Cummings alleged Boosie paid then-17 year old henchman Michael “Marlo Mike” Louding to kill Terry Boyd in 2009. Boosie’s defense attorney Jason Williams argued Louding acted in part with Adrian Pittman and Michael “Ghost” Judson, carrying out the murder because Boyd allegedly stole $720 from Pittman. In his interview with DJ Vlad, Boosie says it only took 35 minutes for the jury to find Boosie not guilty of first-degree murder. Upon hearing the verdict, Boosie’s BM –Boyd’s sister –ran out of the courtroom in tears. During their argument, Boosie allegedly told his BM she would end up like her brother. Instead of sounding repentant in the interview, about degrading his daughter, Boosie then began insulting his BM again, her “poverty-plauged” family serve as a bad example for his daughter.